Research shows that using two different stop-smoking products increases your chances of quitting, compared to using just one.5 To effectively manage the cravings, we’ll help you choose the products that are right for you. 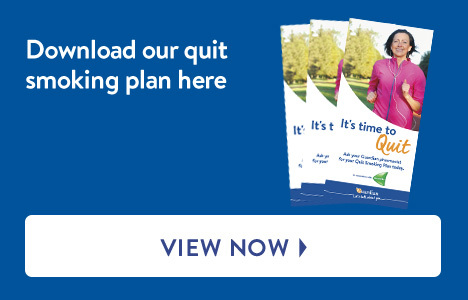 As well as providing expert advice and support, we’ll help create a personalised quit smoking plan you can stick to. 5. Zwar N, Richmond R, Borland R et al. 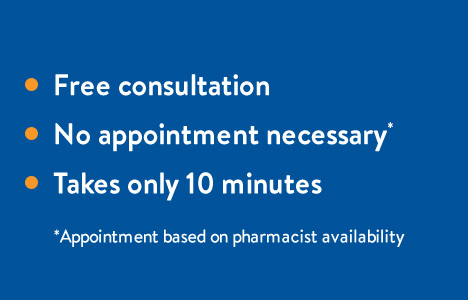 Supporting smoking cessation: a guide for health professionals. Melbourne: The Royal Australian College of General Practitioners; 2011. 6. Quitline. (2015). 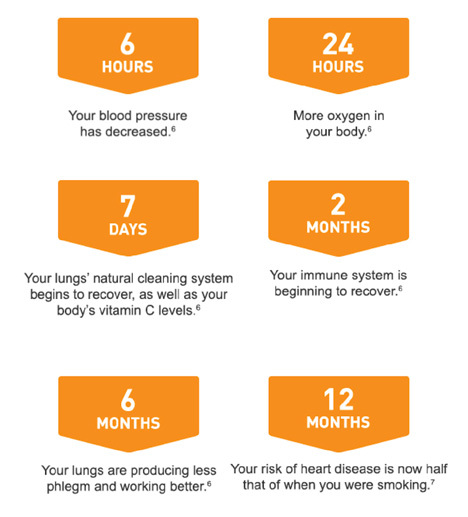 Health benefits of quitting. 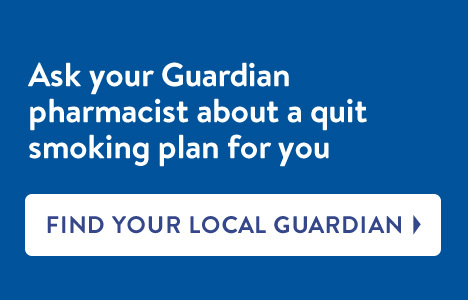 Retrieved from http://www.quit.org.au/reasons-to-quit/health-benefits-of-quitting.